I'm having one of those days today where I don't want to leave the house and would much rather lounge in bed altogether. It's a combination of some sinus stuff I'm suffering with and the fact that I was prepared for a nasty rainy day. Tropical Storm Debby was supposed to be raining down on us. . .but I guess she decided to vacation in Florida instead. Either way, I'm not being very productive in the least. In fact, I delayed grocery shopping for tomorrow as I didn't want to battle the rain today. Ah well, at least I have a menu done to guide my shopping trip. Of course, many of these recipes are layovers from last week. . .oh well. Looks like the most ambitious thing I'm going today is making that fish for dinner! 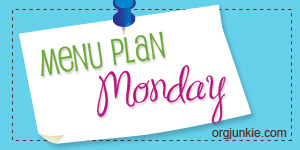 Anyway. . .there's plenty more Menu Plan Monday at I'm an Organizing Junkie. 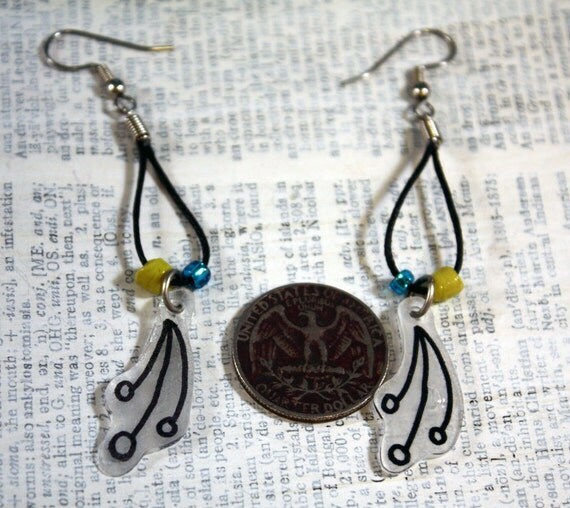 Oh, and these new earrings are in the shop. Here's hoping your Monday was MUCH more productive than mine! Those earrings are darling! We arrived home Sunday from a family reunion in the Lake of the Ozarks. We overdid it on the activities and are still paying for it. Now we're playing catch up but it's slow going. I think we might even be going backwards!